There's nothing like monkeying around to get creativity flowing! 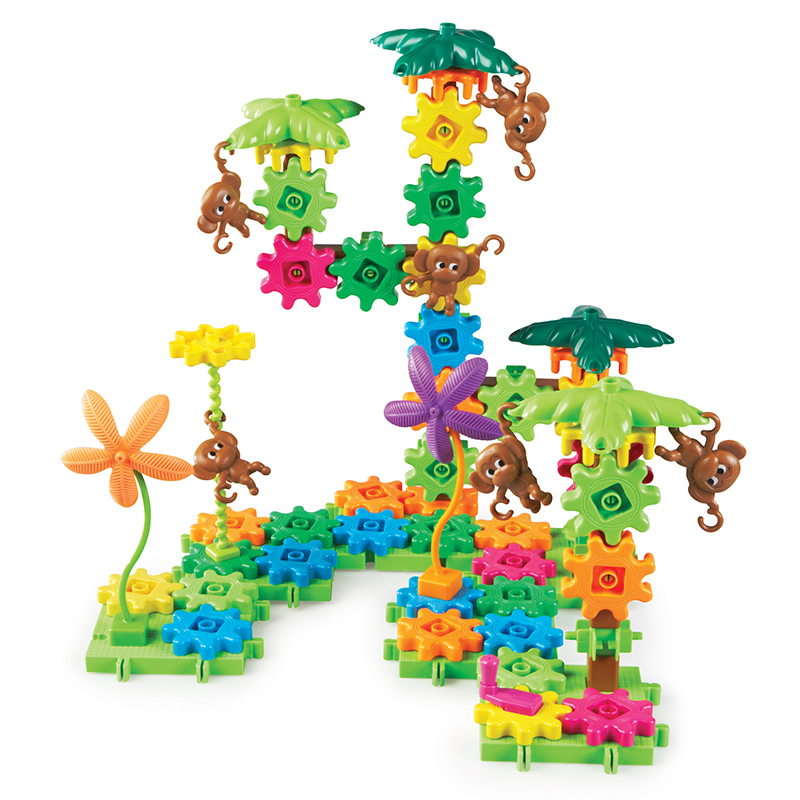 In this jungle-themed set, monkeys fly through the palm trees by their tails, then spin, twist and turn. Colorful set features plastic gears, crank, connectors and base plates for endless building possibilities. Kids develop their own "gears jungle" or use the easy-to-follow instructions. Includes 136 pieces.